Successful title defense at the season opener! 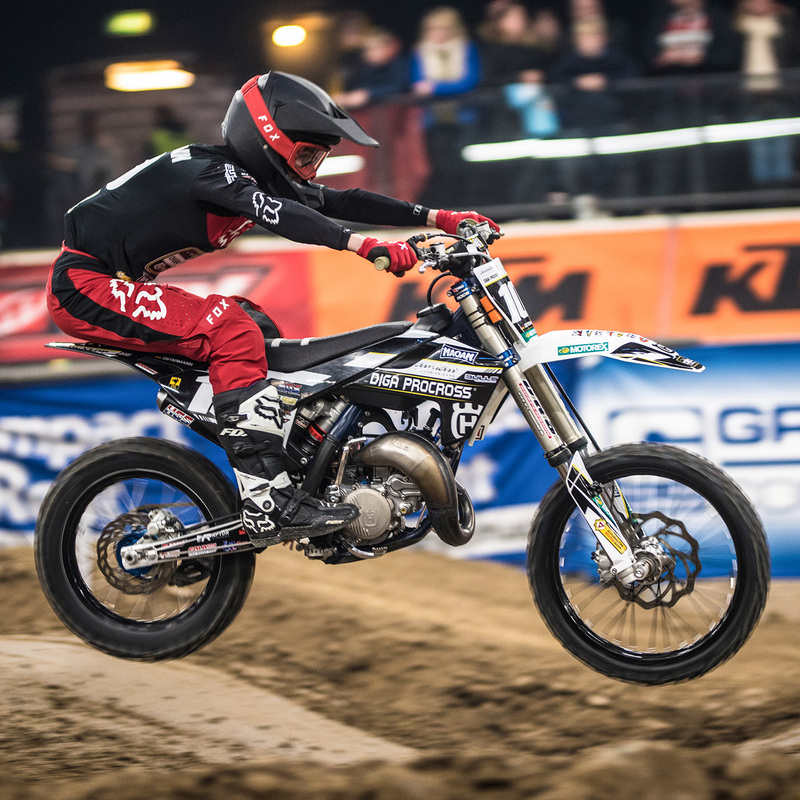 Carl Ostermann claims victory at the International Dutch Supercross! Successful title defense at the season opener! Carl Ostermann claims victory at the International Dutch Supercross! The new Dutch SX85 Champion 2018 remains the same. Securing six race wins over the both Saturday and Sunday, Carl Ostermann was deservedly the weekend’s champion favorite in every respect. The fourteen-year-old FOX-youngster, who started with the Husqvarna-GP-Team DIGA Procross for this season, completed the 3-day race program routinely and pro-fessionally. Carl topped the training rounds of the rough and quick track in Zuidbroek with the fastest times, leaving his international rivals without a chance. For the first race of the season there’s always a bit more excitement. Despite that, I did pretty well and didn’t really have much pressure during the races. Of course I’m happy that everything worked out so well. Also the switch to my new bike (Husqvarna TC85) didn’t cause any problems. The initial tension is over and now I need to focus on each race as it comes. But for me, that’s positive stress! The first indoor race at the Dutch championship went very well for Carl. He brought in some speed from his outdoor SX season and I could see some maturity in his riding compared to last year. I am looking forward to the ADAC championship.